Lock in a great price for Doric Bed – rated 9 by recent guests! Amazing views of the Greek temples, green fields, flowers, cacti. Lovely landscaping. Modern new structure. Everything was perfect. Each of our rooms has their own pools with views from the lovely lounge chairs. There was a platform area where we did morning yoga. Breakfast was great, even had fresh juicing machine and smoothie situation. Very sweet to our little dog. Could not be better. Beautiful ( a bit small) but clean with an AMAZING view! Quiet and a great location. The staff was fantastic. Modern, clean, friendly, good food, and reasonably priced. This is a very special gem of a hotel. The rooms are designed as a private oasis — complete with individual soaking pool on a private patio! The rooms and bathroom are comfortable, modern and stylish. 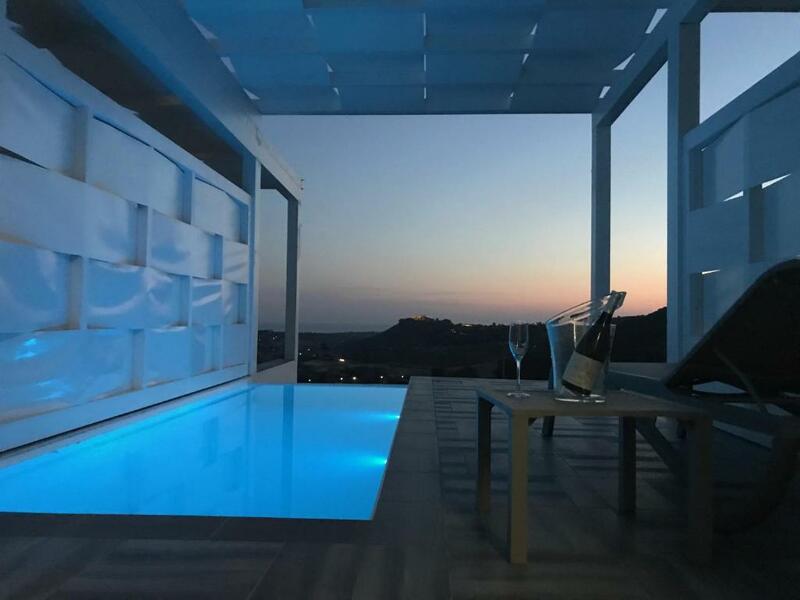 The location is excellent, somehow managing to feel far from the busy central areas of Agrigento and the Valley of the Temples, while you are really only a few minutes drive away. Our room had a romantic view of one of the temples on the crest of a hill just across the valley. We enjoyed a very nice dinner (with beautiful local wines) and a generous breakfast on the peaceful outdoor deck of the restaurant. All the staff were warm, welcoming and accommodating of our every need. We wish our stay could have been longer — and we heartily recommend Doric Bed to any traveler. We booked this for its location close to the valley of the temples. Now we wish we had booked for longer so that we could enjoy the facilities. 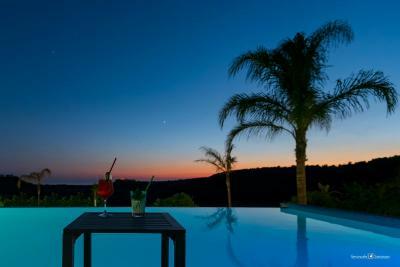 The rooms, and the pool, all have views out over the valley and towards the sea. There is an excellent restaurant on site - great dinner, and a very good included breakfast. The staff were excellent. Breakfast was excellent with plenty to choose from. Scenery is wonderful and location peaceful. Staff were extremely helpful and courteous, going out of their way to make sure we were comfortable. greating by golf car to help us to the room with our luggage. We been offered a different room after staff thought there is a bad smell in the original room. Breakfast was really nice and staff was helpful. View from the room and breakfast area is great. Free parking. Great setting with an iconic view of the Valley of Temples; staff very friendly and helpful; very comfortable room. Hotel restaurant had limited selections but the food was very well prepared and expertly served. Finally a perfect breakfast :) And nice view from the room. Doric Bed This rating is a reflection of how the property compares to the industry standard when it comes to price, facilities and services available. It's based on a self-evaluation by the property. Use this rating to help choose your stay! 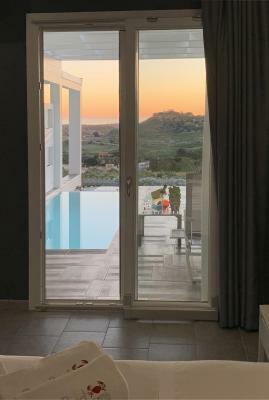 One of our top picks in Agrigento.Featuring a garden with a free outdoor pool, Doric Bed is 1.2 mi from the UNESCO-protected Valley of the Temples. 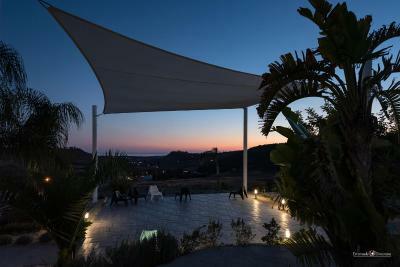 The property offers a traditional restaurant, free Wi-Fi and free private parking. Overlooking Juno’s Temple, the sea and either the pool or the garden, uniquely decorated rooms and studios come with air conditioning, a flat-screen TV and a private bathroom with hairdryer. Studios are complete with a kitchenette, while some room come with a private pool. A buffet-style breakfast is prepared daily. Open for lunch and dinner upon request, the restaurant specializes in regional and national cuisine, prepared with herbs from the property's garden. 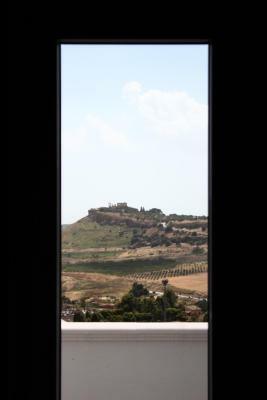 Agrigento center is 3.7 mi away, and you can reach Porto Empedocle ferry harbor in 15 minutes by car. Scala dei Turchi is 9.3 mi away. When would you like to stay at Doric Bed? Overlooking the sea, the garden and Juno's Temple, this uniquely decorated room features air conditioning, a flat-screen TV and a private bathroom with hairdryer. Wi-Fi is free. Overlooking the sea, the garden and Juno's Temple, this uniquely decorated studio features air conditioning, a bathroom with hairdryer, and a living area with kitchenette. Wi-Fi is free. Some studios have a terrace. Overlooking the sea, the pool and Juno's Temple, these uniquely decorated rooms feature air conditioning, a flat-screen TV and 2 private bathrooms with a hairdryer. Wi-Fi is free. 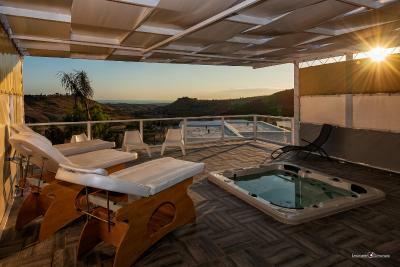 This double room features a heated, outdoor pool set on the private veranda, which faces Juno Temple. 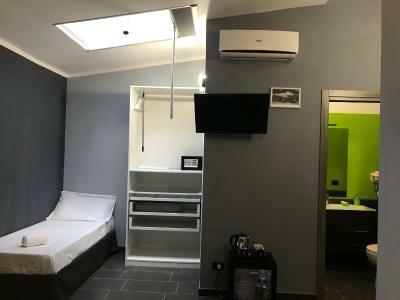 This double room has a tile/marble floor, electric kettle and tumble dryer. House Rules Doric Bed takes special requests – add in the next step! ATM card Doric Bed accepts these cards and reserves the right to temporarily hold an amount prior to arrival. Doric Bed accepts these cards and reserves the right to temporarily hold an amount prior to arrival. Please inform Doric Bed of your expected arrival time in advance. You can use the Special Requests box when booking, or contact the property directly using the contact details in your confirmation. Bedside tables and chest of drawers in room. Also, rooms would benefit from soundproofing. The staff were so pleasant and friendly. The room with private pools are not as expected, because you dont have that much privacy afterall. From your pool you can see into other private pools and even other rooms. We had a slightly blocked shower and found hair stucked under the drainage cover. And If you open water on the full flow, the water goes all over the bathroom. We used towel to stop the water. Everything is made with very cheap materials that give you the feeling of going to broken. The acoustic isolation is terrible. This Hotel is more like a family homestead or B&B. It is located in a quiet rural area, quite a drive to any other facilities. The bed was very hard and uncomfortable. The bathroom was small, and it was quite awkward to was yourself in the tiny shower cubicle (especially for tall or larger people). Overall, it was not what we expect from a hotel .. but much more staying on a well run family property. Incredibly clean, new and modern facilities. Quite creative in design. Free onsite secure parking. Great rural views across to the coast and The Valley of Temples. Interesting gardens - which should be quite stunning when they mature. Excellent service from all staff. The self-serve breakfast buffet was generous with an extensive range of interesting foods and beverages to select. Great coffee. Though we did not utilise it .. there is a restaurant and well-stocked bar on site if you do not want to drive into the old town. Boutique style hotel overlooking the Valley of the Temples. Contemporary rooms with terrace overlooking the pool & gardens. Lovely breakfast. 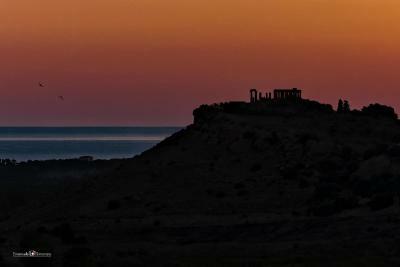 Agrigento only a short 10 min drive away.